SJP by Sarah Jessica Parker shimmery fabric sandal. 4" covered heel. 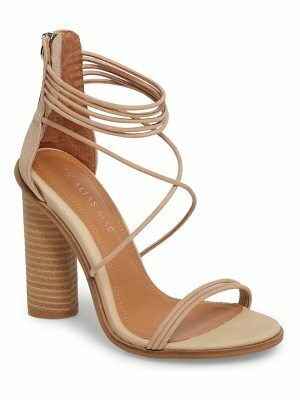 Crisscross straps band open toe. Signature grosgrain flag. Adjustable ankle strap. Leather outsole. "Sheridan" is made in Italy.